LG is going to launch the G Watch this June with a pricetag of €199 in Europe (probably $199 in the US). LG France has confirmed the information to the news outlet Lesnumeriques. It’s almost certain that the G Watch is going to be the base for the first Google Nexus smartwatch, which too will run the recently announced Android Wear OS. 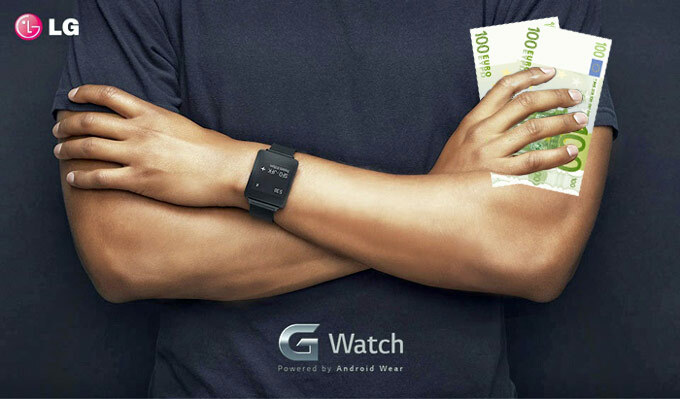 The G watch’s display is going to be always on and packs a resolution of 280 x 280 pixels. Last week, LG uncovered a new Champagne Gold color to join the Stealth Black, which was showed at the official announcement of the watch. The G Watch is also rumored to sport 512MB of RAM and 4GB of internal storage.